Nearby residents received a letter in the post informing them that the government’s national listening post was introducing armed Ministry of Defense police (MDP) at their Benhall site. A GCHQ spokesman said the move was related to the raising of the UK terror threat level last year. British spy agency MI5 raised the threat level from “substantial” to “severe” in August, meaning a terrorist attack is highly likely. Residents living near GCHQ’s main office based in Cheltenham, Gloucestershire, received a letter informing them of the heightened security measure. “In line with government organizations, we have been keeping GCHQ’s security arrangements under review and have decided that the time is right to introduce an armed police presence at our Benhall site,” the letter reads. The letter stressed such “additional security measures” would have no impact on local residents. MDP are a civilian government police agency tasked with protecting property belonging to the Ministry of Defense. 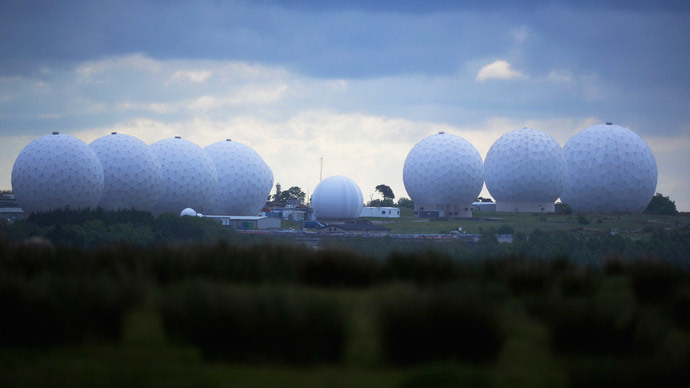 GCHQ’s Benhall office was the site of a protest organized by hacktivist group Anonymous last August in response to the spy agency’s role in the widespread spying on innocent civilians, as revealed by NSA whistleblower Edward Snowden. Anonymous UK plan to return to GCHQ this summer with a weekend camping trip scheduled for August 28.